Midterm elections are today. Have you voted yet? Do you know where to vote? Do you need help understanding all the propositions? 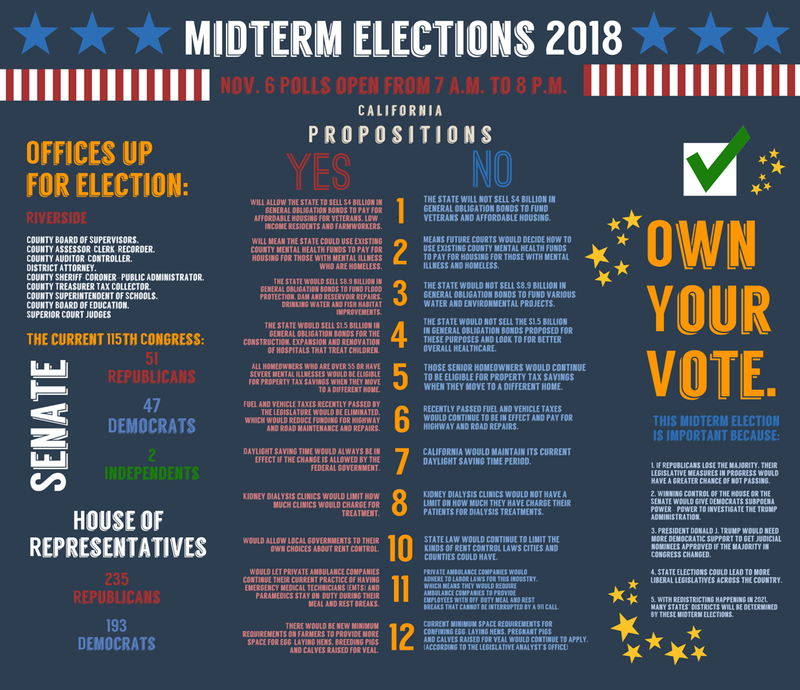 Use this guide to help navigate all the complexities of voting today and make your voice heard. Make sure you are registered to vote. Go here to check and see if you are already registered. If not, do not worry. You can vote using conditional voter registration. All you need to do is head to the county elections office and register to vote and vote conditionally right there. If you need any more information on conditional voter registration read up on it here. Then, you need to find your nearest polling place. Use the California Secretary of State website search tool to find the polling station closest to you. Bring a form of identification with you. This could be a recent utility bill, sample ballot booklet, passport, driver’s license or official state identification card. The complete list of acceptable forms of voter identification can be found here. No matter how you vote make sure your voice is heard as you fulfill your civic duty today.